The month of my birthday and MOST IMPORTANTLY National Breast Cancer Awareness! 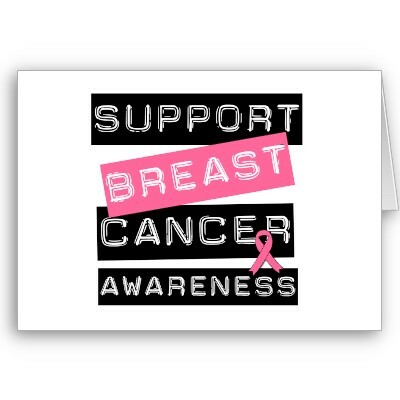 Everybody has a story as to why they support Breast Cancer Awareness. Why do you? This is a great time for people to get involved in supporting breast cancer if they aren’t already. During this time, the world turns into a sea of pink. Small and large corporations and businesses look to making money based on the infamy and the fear that lurks in our hearts all over the world. So many people, women and men, support this cause, donate to fundraisers, run the 5ks, and walk for 2 days while praying and hoping that we/they never have to come face to face with this. We can run from it but we sadly cannot hide. Many, many women fight this battle everyday, but sadly some do not win. I have seen many women in my life fight this battle! A woman near and dear to my heart had breast cancer and was lucky enough to win the battle. She stayed strong and didn’t let it hold her back. She is a survivor and my hero! This is why I #livepink! I dedicate being healthy and strong to her! Going back on what I said in the above paragraph, we can run but we can’t hide, I mean that we can make sure our body is healthy and take care of your ladies by getting your mammograms and/or doing self checks. Remember ladies, get checked and be active! The best protection is early detection! !